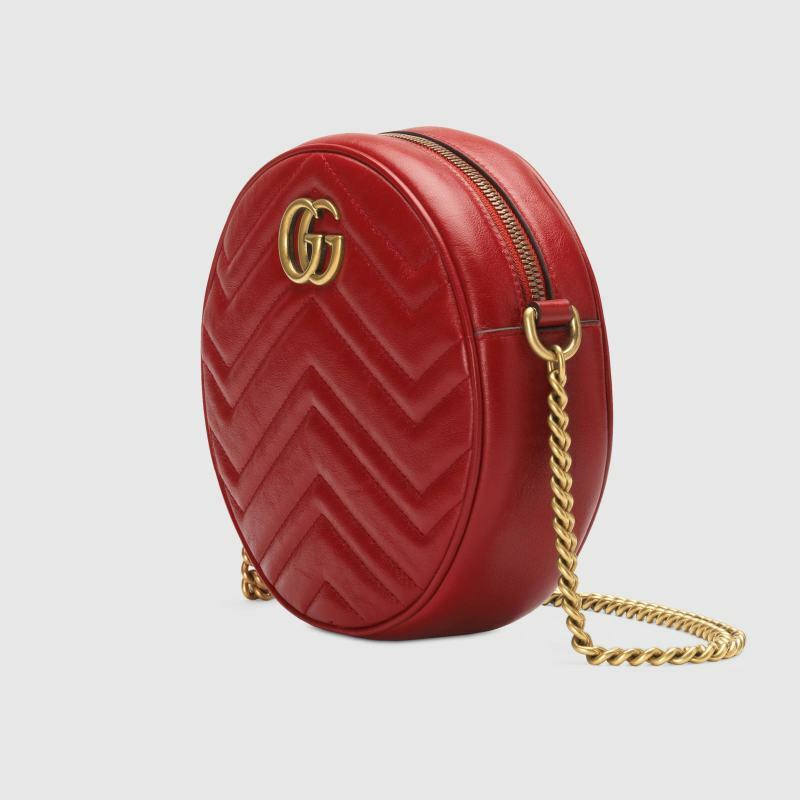 A lineup of GG Marmont round bags featuring a chain shoulder strap. 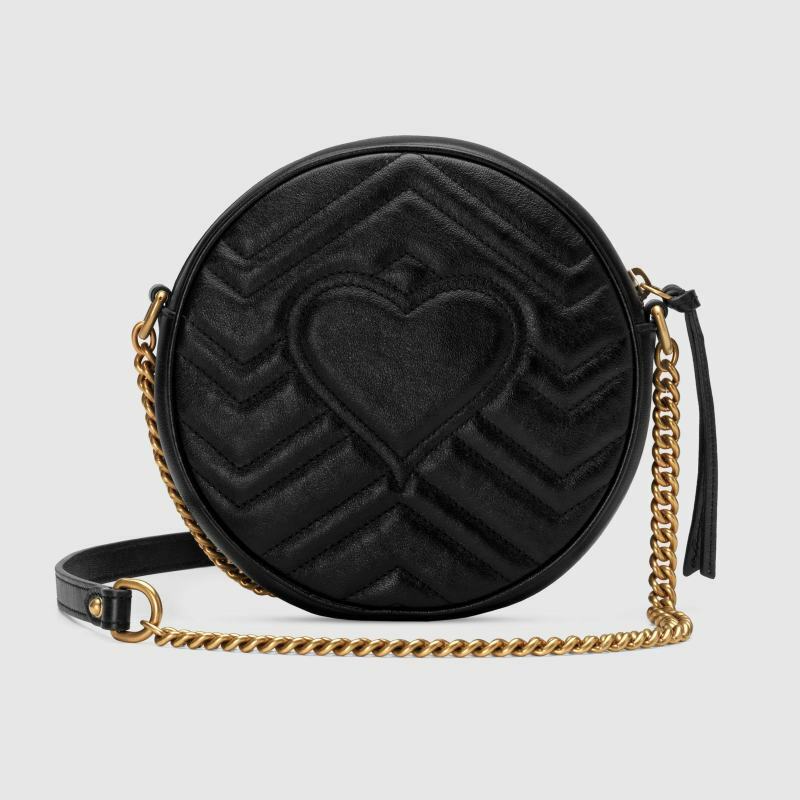 From Gucci Cruise 2019 by Alessandro Michele, the mini bag is presented in a rounded shape with a chain shoulder strap with leather detail with 22″ drop. 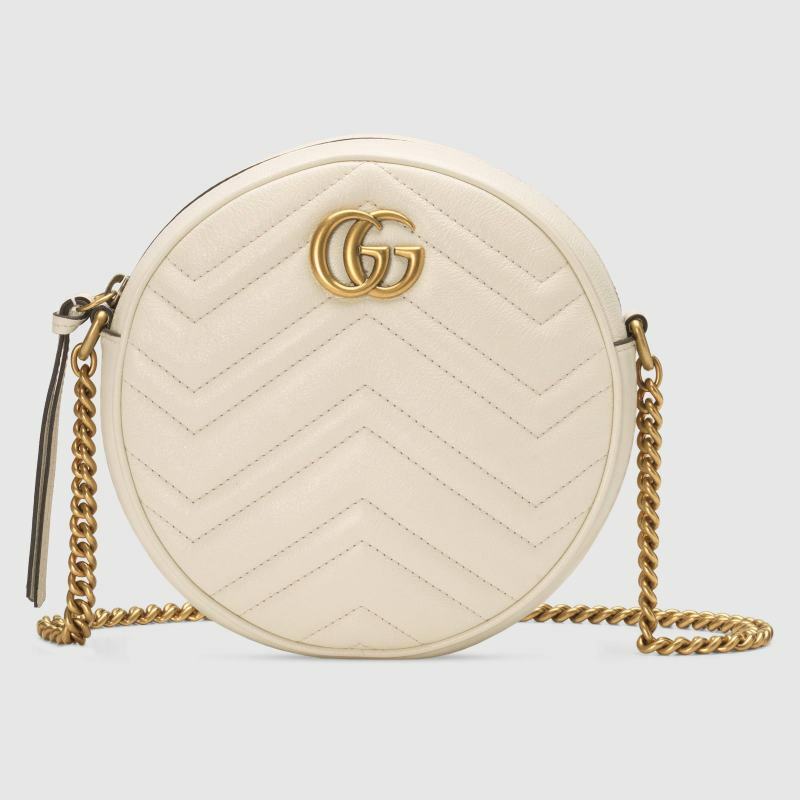 Defined by the distinctive antique Double G gold-toned hardware, made in matelassé chevron leather with a heart on the back, microfiber lining with a suede-like finish and finished with a vintage effect.